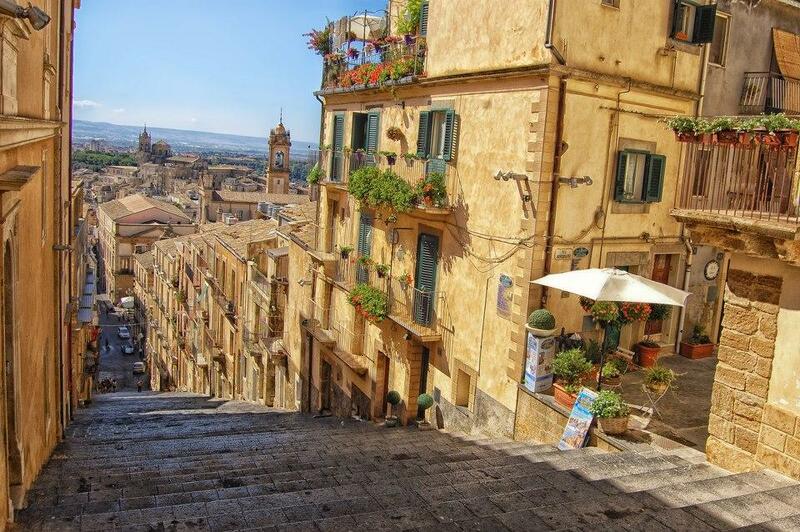 Located in the central southeastern part of Sicily, Caltagirone is well known for its pottery industry, which dates back to the time of the ancient Greek. For more than a two glorious millennia, this picturesque city was the stronghold of the Byzantines, Arabs, Genoans and Normans. Today, it is undergoing a period of renewed development, largely related to the tourist turnout and ceramic industries. Thanks to its architectural riches, such as churches, splendid palaces and 18th century villas, in 2002 Caltagirone has been included in the UNESCO World Heritage Sites.